The Office of Environmental Health Hazard Assessment (OEHHA) received numerous inquiries related to the interpretation and application of several provisions of the August 2016 amendments to the Article 6 Clear and Reasonable Warnings regulations. OEHHA determined that clarification of certain provisions of the new regulations “would be beneficial to the regulated community.” As such, on December 6, 2017, OEHHA issued a notice alerting stakeholders that amendments were approved. The proposed amendments are intended to further clarify the guidance OEHHA provides to businesses to better understand how to comply with the warning requirements. There are some changes worth mentioning. First, OEHHA eliminated the term “on-product” warning and replaced the term as “short form” warning. It must be noted that there are no substantive changes to the content of the short form warning. Second, OEHHA revised the definition of “label” to indicate that a label can be “printed on or” affixed to a product or its immediate container or wrapper. This change is intended to clarify that there is no requirement to place a separate label with the warning on the product if the warning is printed on the product or the immediate container or wrapper. Third, OEHHA also has revised the definition of “labeling” to delete the reference to “tags at the point of sale or display of a product” because tags are a form of signage, not labeling. For more information, visit OEHHA’s website here. New consumer warnings will be required under California’s Prop 65 on August 30, 2018. On September 2, 2016, California’s Office of Environmental Health Hazard Assessment (OEHHA) issued a final rule amending Article 6 of the regulations implementing Proposition 65 (Prop 65) that requires enhanced warning messages. Prop 65 requires a “clear and reasonable” warning on products that expose California consumers to chemicals of concern (“Prop 65-listed chemicals”). The new regulation has changed what constitutes a “clear and reasonable” warning. As the final rule becomes effective on August 30, 2018, businesses should begin to assess their products, consider the clear and reasonable warning requirements, and prepare for the deadline to minimize the risk of enforcement litigation. The final rule imposes requirements on content and methods of transmission, which includes disclosure of one or more Prop 65-listed chemicals that resulted in the warning and an accompanying symbol. An abbreviated warning, however, will be permitted when a company provides an “on-product” warning. If an “on-product” warning is used, the business need not disclose the specific Prop 65 chemical(s). Until the August 30, 2018 effective date, companies selling into California can use either the old or the new regulatory warnings. Indeed, businesses are not required to re-label products that are already in the stream of commerce. OEHHA has ensured that “the regulations allow the old safe harbor warnings to remain and be considered compliant if the product was manufactured prior to the effective date of the new regulations.” As such, if a business is selling into California, compliance with the new regulatory warnings must be in effect on all manufactured products on August 30, 2018. It is prudent for businesses to begin the compliance process shortly because it will take time to assess which products are sold into California, to design new product labels and/or compliant materials, to approve such materials, and to implement the necessary changes. In September 2015 the California Environmental Protection Agency’s Office of Environmental Health Hazard Assessment (OEHHA) announced plans to list the pesticide glyphosate as a possible cancer threat under Proposition 65. OEHHA made the decision to list glyphosate following the International Agency for Research on Cancer March 2015 finding that glyphosate is “probably carcinogenic to humans.” Monsanto sued OEHAA in January 2016, in an effort to block the listing. Global sales of glyphosate were about $7.8 billion in 2014, as a carcinogen under Proposition 65. It is the main ingredient in Monsanto’s Roundup. A tentative ruling by California Superior Court Judge Kristi Culver Kapetan states that the court intends to dismiss Monsanto’s lawsuit. In the lawsuit, Monsanto claimed that the listing was unconstitutional because OEHHA delegated law-making authority “to an unelected and non-transparent foreign body that is not under the oversight or control of any federal or state government entity,” and because the labor code process violated the due process clauses of the California and U.S. constitutions. In its motion to dismiss the lawsuit, California argued that IARC’s scientific determinations are “the gold standard in carcinogen identification.” The court found that Monsanto’s petition failed to state facts sufficient to constitute a cause of action. Judge Kapetan will be issuing a formal decision soon. On September 2, 2016, California’s Office of Environmental Health Hazard Assessment (OEHHA) issued a final rule amending Article 6 (California Health & Safety Code §§25600-25607.9) of the regulations implementing Proposition 65 (Prop 65). The final rule imposes requirements on content and methods of transmission, which includes, in some instances, disclosure of one or more Prop 65-listed chemicals that resulted in the warning. An abbreviated warning, however, will be permitted when a company provides an “on product” warning for consumer products. The new requirements become effective on August 30, 2018, however, companies can use either the old or the new regulatory warnings during the two-year transition period. 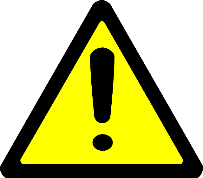 The new clear and reasonable warning requirement for consumer products, other than food or alcoholic beverages, requires the warning language to be preceded by a warning label – a bold, black outlined, yellow equilateral triangle, with an exclamation point in the center. WARNING: This product can expose you to chemicals including [name of one or more chemicals], which is [are] known in the State of California to cause cancer. For more information, go to www.P65Warnings.ca.gov. WARNING: This product can expose you to chemicals including [name of one or more chemicals], which is [are] known in the State of California to cause birth defects or other reproductive harm. For more information, go to www.P65Warnings.ca.gov. WARNING: This product can expose you to chemicals including [name of one or more chemicals], which is [are] known in the State of California to cause cancer, and [name of one or more chemicals], which is [are] known in the State or California to cause birth defects or other reproductive harm. For more information, go to www.P65Warnings.ca.gov. WARNING: This product can exposure you to chemicals including [name of one or more chemicals], which is [are] known in the State of California to cause cancer and birth defects or other reproductive harm. For more information, go to www.P65Warnings.ca.gov. Most importantly, there is now an abbreviated “on-product” warning that is permitted that would not require disclosure of one or more listed chemicals in the product. OEHHA clarified that on-product referred to the product itself, as well as the immediate container, box, or wrapper of the product. On-product warnings must appear in a type size no smaller than the largest type size used for consumer information on the product, and must be no smaller than 6-point font. Consumer information is defined to include warnings, directions for use, and ingredient lists. The regulations now permit a manufacturer, producer, packager, importer, supplier, or distributor to comply with Article 6 by either affixing a label to the product with an appropriate warning (as described above) or by sending the authorized agent for a retail seller in California a written notice that: (1) states the product at issue may result in an exposure to one or more listed chemicals, (2) identifies the product with specificity (e.g., by Universal Product Code), and (3) includes all necessary warning materials (or warning language, with respect to internet sales). The manufacturer, producer, packager, importer, supplier, or distributor must obtain confirmation of receipt by the retailer electronically or in writing. The notice must be renewed within six months during the first year after August 30, 2018, and then annually thereafter. If a retailer fails to post a warning when the manufacturer, producer, packager, importer, supplier, or distributor has provided the appropriate written notice, liability falls on the retailer for failure to warn. California refers five chemicals to Prop. 65 Carcinogen Identification Committee. Methyl chloride and vinyl acetate are both common intermediates in polymer production, while the latter is a High Production Volume chemical. Type I Pyrethroids are a group of synthetic insecticides also found in home and garden pest control products. Aspartame is a widely used artificial sweetener. The CIC will advise OEHHA on prioritizing the chemicals for possible preparation of hazard identification materials, an intermediate step toward listing a chemical as carcinogenic under Prop. 65. No listing decisions will be made for these chemicals at the November meeting. However, the CIC will consider listing “nitrite in combination with amines or amides” at this meeting. The five chemicals were chosen based on epidemiologic and animal data screens, followed by a preliminary toxicological evaluation. OEHHA prepared and has made available summaries of the relevant studies identified during the preliminary toxicological evaluation for each of the five chemicals. The announcement marks the beginning of a public comment period which runs to October 24, 2016.
http://verdantlaw.com/wp-content/uploads/2015/01/VerdantLogoWhite2-300x59.png 0 0 Verdant Law http://verdantlaw.com/wp-content/uploads/2015/01/VerdantLogoWhite2-300x59.png Verdant Law2016-09-03 00:43:102016-09-03 00:43:10California refers five chemicals to Prop. 65 Carcinogen Identification Committee. California may add BPA to Prop. 65 list. In April 2013, BPA was added to the Prop. 65 list as a reproductive toxicant for development endpoints via the Prop. 65 “authoritative bodies” mechanism, based on the National Toxicology Project’s findings that BPA caused reproductive toxicity at high doses. However, California delisted BPA the next week, in response to a lawsuit brought by the American Chemistry Council, and simultaneously withdrew that attempt to list the chemical. DARTIC will now be revisiting BPA per a 2009 request from the committee to reconsider the chemical “if additional epidemiological or other specific types of data on reproductive and developmental toxicity became available.” Substantial relevant data has become available since 2009, including a significant 2014 review of studies published from 2007-2013 concluding that BPA is a reproductive toxicant. OEHHA has compiled hazard identification materials on BPA and female reproductive toxicity for the consideration of both DARTIC and the public. The agency is accepting comments on the hazard identification materials through April 6, 2015. These comments will be forwarded to DARTIC members before the May 7 meeting, and also posted online. Instructions for submitting comments are in the meeting notice. The May 7 meeting will begin at 10:00am in the Coastal Hearing Room of the Cal/EPA Headquarters building, 1001 I Street, Sacramento, and will also be webcast. If DARTIC require more time for deliberations, the meeting will be continued on May 21 at the same location. http://verdantlaw.com/wp-content/uploads/2015/01/VerdantLogoWhite2-300x59.png 0 0 Verdant Law http://verdantlaw.com/wp-content/uploads/2015/01/VerdantLogoWhite2-300x59.png Verdant Law2015-02-23 20:18:562015-02-23 20:18:56California may add BPA to Prop. 65 list. New warning requirements proposed for California's Prop. 65. This week, California’s Office of Environmental Health Hazard Assessment (OEHHA) announced its proposal to amend Proposition 65 warnings. OEHHA’s proposal is aimed at improving the quality of Prop. 65 warnings, and is part of the suite of Prop. 65 reforms advocated by Governor Jerry Brown. A pre-regulatory public workshop on the same topic was held in July; the new proposal provides more detail and incorporates changes and feedback from comments received in response to the agency’s initial pre-regulatory proposal. OEHHA has prepared a Draft Pre-Regulatory Initial Statement of Reasons for the Warning Regulation [PDF] and Draft Pre-regulatory Warning Regulation [PDF], as well as a side-by-side comparison [PDF] between the draft regulatory language and current regulations. In addition, the proposal recognizes court-approved warning language and provides for “tailored” warning language for certain scenarios, such as dental care, apartment buildings and hotels, parking facilities, and amusement parks. OEHHA also proposes a new “Opportunity to Cure” provision for small retailers to fix certain minor violations within 14 days and avoid private enforcement actions, with the goal of avoiding frivolous litigation. OEHHA will hold a public workshop to discuss the proposal on April 14 and will accept comments through May 14, 2014. After the workshop and comment period, OEHHA plans to propose the formal regulation in early summer 2014, with the expectation that final regulations could be adopted in the summer of 2015.
http://verdantlaw.com/wp-content/uploads/2015/01/VerdantLogoWhite2-300x59.png 0 0 Verdant Law http://verdantlaw.com/wp-content/uploads/2015/01/VerdantLogoWhite2-300x59.png Verdant Law2014-03-11 16:50:542014-03-11 16:50:54New warning requirements proposed for California's Prop. 65. California Prop. 65: TCE added as reproductive toxicant, new additions proposed. California’s Office of Environmental Health Hazard Assessment (OEHHA) has finalized the addition of trichloroethylene (TCE) to its Proposition 65 list of reproductive toxicants. OEHHA proposed the listing in November 2013, based on data and conclusions from U.S. EPA’s IRIS Assessment and report finding that TCE causes male reproductive and developmental toxicity in laboratory animals. TCE, which is used as an industrial solvent, was already listed under Prop. 65 as a carcinogen. On February 7, OEHHA filed several Notices of Intent to List various substances as cancer-causing under Prop. 65. OEHHA proposed listing beta-myrcene and “nitrite in combination with amines or amides” as carcinogenic under the “authoritative bodies listing mechanism.” Beta-myrcene is a plant derivative used as a flavoring agent or fragrance in various consumer products, and is also synthesized as a high-production chemical for the manufacture of alcohols, polymers and other chemicals. The National Toxicology Program concluded in 2010 that beta-myrcene causes kidney and liver cancers in laboratory animals. Nitrites in combination with amines or amides are commonly found in food, and its proposed listing is based on a 2010 report from the International Agency for Research on Cancer (IARC), which found “sufficient evidence” of the substance’s carcinogenicity. OEHHA also proposed listing pulegone, a plant-derived compound, as carcinogenic under the Labor Code mechanism, which is based on the Federal Hazard Communication Standard and IARC’s identification of a substance as a human or animal carcinogen. Megestrol acetate was also proposed for listing as a carcinogen in accordance with requirements by the federal Food and Drug Administration. OEHHA is accepting public comments on all of the above proposed listings through March 10, 2014.
http://verdantlaw.com/wp-content/uploads/2015/01/VerdantLogoWhite2-300x59.png 0 0 Verdant Law http://verdantlaw.com/wp-content/uploads/2015/01/VerdantLogoWhite2-300x59.png Verdant Law2014-02-12 16:17:572014-02-12 16:17:57California Prop. 65: TCE added as reproductive toxicant, new additions proposed. California's Proposition 65 reformed to end "frivolous" lawsuits. On October 5, 2013, California Governor Jerry Brown signed into law A.B. 227, amending Proposition 65. The bill aims to end “frivolous shakedown” lawsuits against businesses based on California’s Safe Drinking Water and Toxic Enforcement Act of 1986, better known as Prop. 65, a voter-initiative-based law which requires businesses to post warnings about chemicals known to the state as causing cancer or reproductive harm. We previously discussed this legislation and Gov. Brown’s Prop. 65 reform package in June. A.B. 227 amends the law so business owners faced with a private enforcement action may take corrective action, pay a $500 fine and provide notice of the fix – a solution that the bill’s sponsor, Assemblyman Mike Gatto (D-Los Angeles), compared to motorist “fix-it” tickets. The changes went into effect immediately, on October 5. Under Prop. 65, private citizen enforcers must send a “60-day notice” of the violation to the alleged violator, along with the California’s Office of the Attorney General, before filing suit. Businesses sued for failing to post proper Prop. 65 warnings face steep penalties of $2,500 a day, plus the private enforcer’s attorneys’ fees and costs. Some of these private enforcement actions have led to the development of what some critics, including Gov. Brown, call a “cottage industry” based on “nuisance” suits and shakedowns. Under A.B. 227, businesses that receive a 60-day notice of violation could avoid costly litigation or settlements by correcting the violation within 14 days. The alleged violator would send to the private enforcer the $500 penalty and a completed proof of compliance form describing the corrective action taken and attaching a copy of the new warning along with a photograph of the warning’s placement on the premises. Of the $500 penalty, 75 percent will be paid to the state’s Safe Drinking Water and Toxic Enforcement Fund and the remaining 25 percent will be paid to the private enforcer. An alleged violator could use this “fix-it ticket” option only once, and the amendments do not prevent the Attorney General or other public prosecutor from taking enforcement action. The new amendments only apply to certain Prop. 65 actions involving exposure to (1) vehicle exhaust at parking garages; (2) alcohol; (3) second-hand smoke; and (4) certain chemicals in food or beverages that are not intentionally added and occur naturally in preparation processes like grilling or frying, such as a acrylamide or benzene. Gov. Brown’s broader array of proposed reforms – including capping attorneys’ fees and limiting settlement payments – were not adopted in legislation this year. http://verdantlaw.com/wp-content/uploads/2015/01/VerdantLogoWhite2-300x59.png 0 0 Verdant Law http://verdantlaw.com/wp-content/uploads/2015/01/VerdantLogoWhite2-300x59.png Verdant Law2013-10-12 02:34:302013-10-12 02:34:30California's Proposition 65 reformed to end "frivolous" lawsuits. Chemical Safety Improvement Act May Be Overhauled in Senate Hearing Next Week. Since its introduction in late May, the bipartisan Chemical Safety Improvement Act of 2013 (“CSIA,” S. 1009) has already had an eventful history which looks like it will get even more interesting next week when the Senate Environment and Public Works (“EPW”) Committee holds a day-long hearing on reforming federal chemical law. The hearing, scheduled for July 31, will focus on the CSIA but also consider other proposals to reform the 1976 Toxic Substances Control Act (“TSCA”) – the only major environmental statute that hasn’t been updated since its initial passage. The CSIA, introduced by Senator David Vitter (R-LA) and the late Senator Frank Lautenberg (D-NJ), has already been the subject of two House committee hearings. The bill was introduced just weeks before the death of Sen. Lautenberg, who was known for his dedication to pollution protection and public health, and some have called for its passage as a tribute to his legacy. The CSIA is backed by industry and some environmental groups, but has been criticized by other environmental groups and consumer and health advocates who argue that the bill is critically flawed; for example, if passed, the law might override state consumer safety laws like California’s Proposition 65, which require warnings on products that contain certain chemicals. In California, Attorney General Kamala Harris and the state’s Department of Toxic Substances Control have expressed concern that the bill could not only preempt Prop. 65 but also derail the state’s nascent green chemistry regulations. Senator Barbara Boxer (D-CA), who chairs the Senate EPW Committee and co-sponsored some of Sen. Lautenberg’s previous TSCA reform proposals, is reportedly planning a major overhaul of the bill “that would amount to starting over.” Sen. Boxer’s goal is to combine parts of the Chemical Safety Improvement Act with parts of the Safe Chemicals Act of 2013 (S. 696). The Safe Chemicals Act was introduced by Sen. Lautenberg in April 2013 without Republican support, and mirrors legislation that passed the Senate EPW committee last year. Details on the hearing, including the witness list, are not yet available. http://verdantlaw.com/wp-content/uploads/2015/01/VerdantLogoWhite2-300x59.png 0 0 Verdant Law http://verdantlaw.com/wp-content/uploads/2015/01/VerdantLogoWhite2-300x59.png Verdant Law2013-07-25 04:00:412013-07-25 04:00:41Chemical Safety Improvement Act May Be Overhauled in Senate Hearing Next Week.